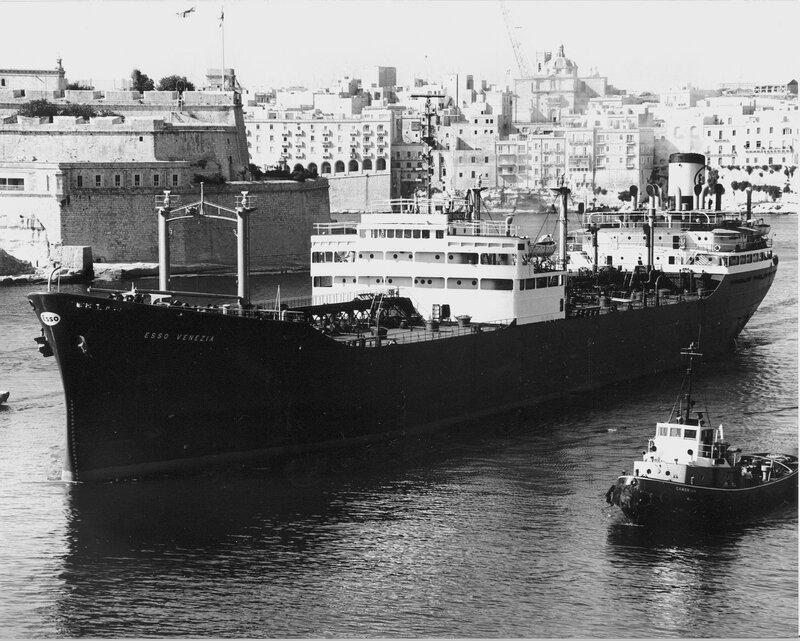 Esso Venezia in La Valletta Harbour, Malta. 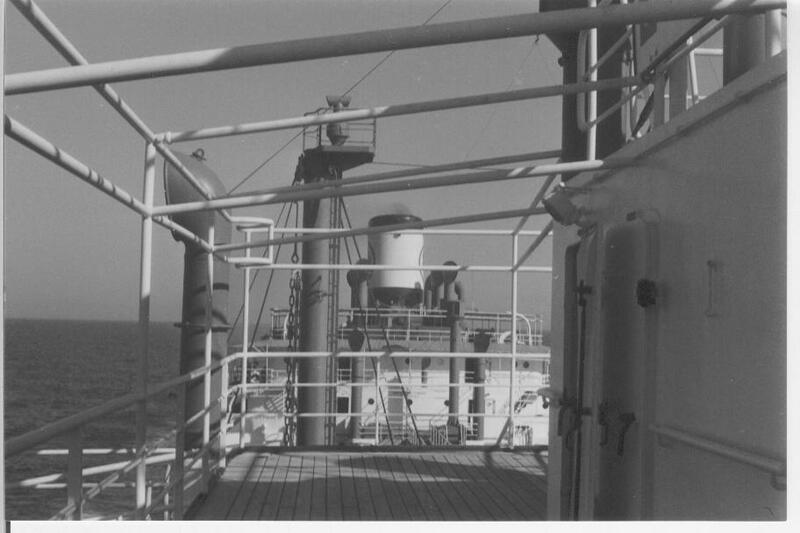 Forward view from the bridge. 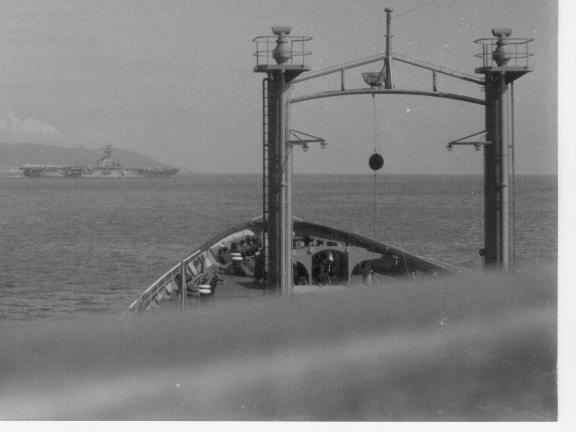 In the distance the American aircraft carrier F.D. 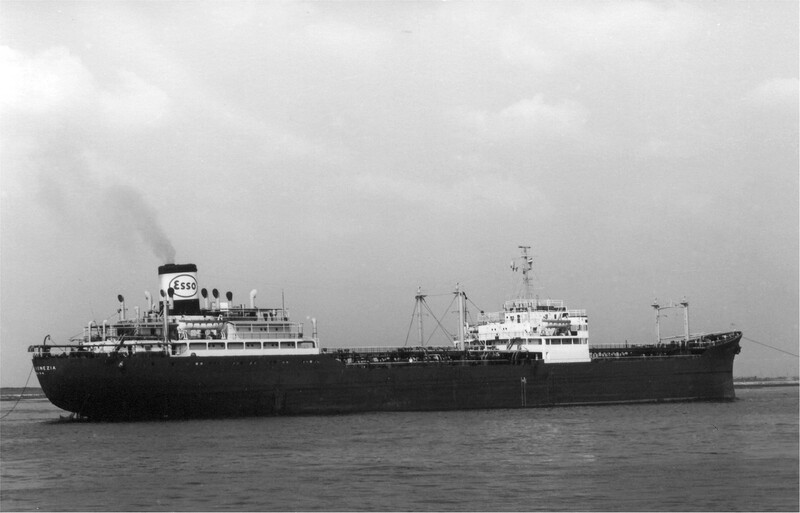 Roosvelt. 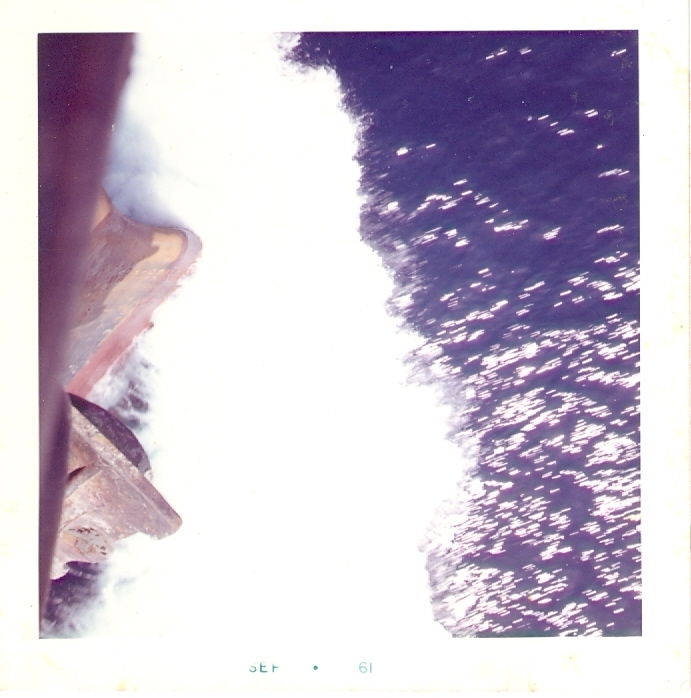 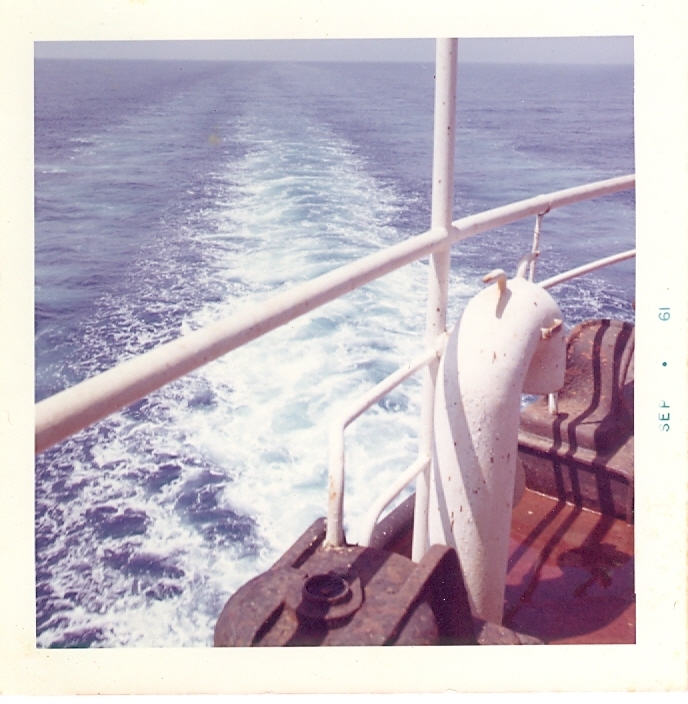 Picture taken sometime in 1962. 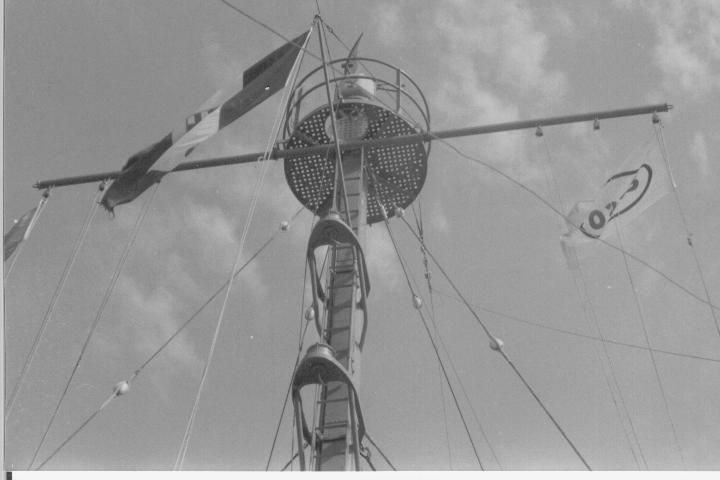 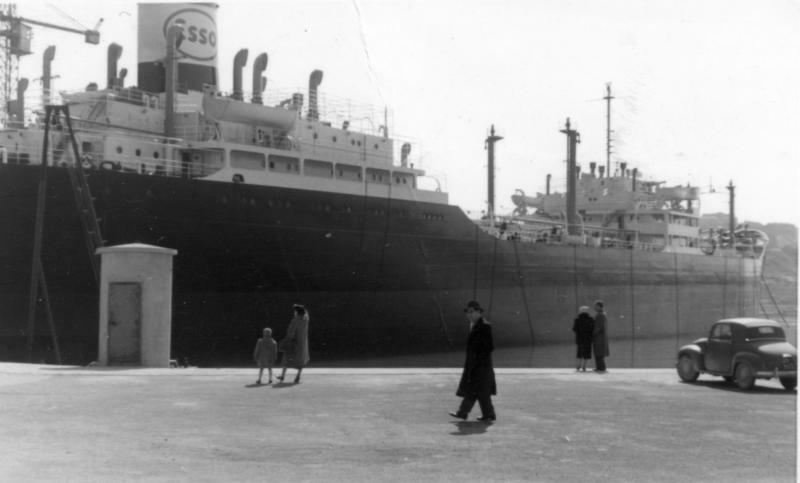 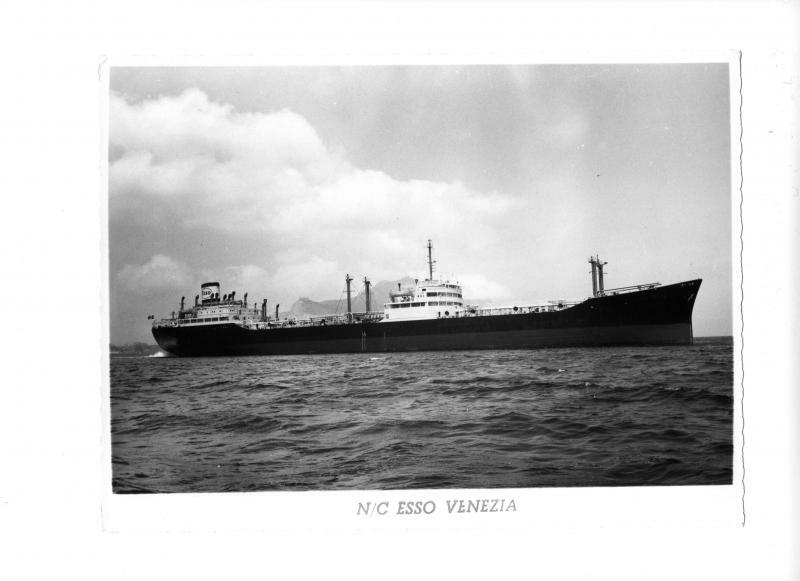 Esso Venezia, Italian merchant navy flag and the Esso flag. 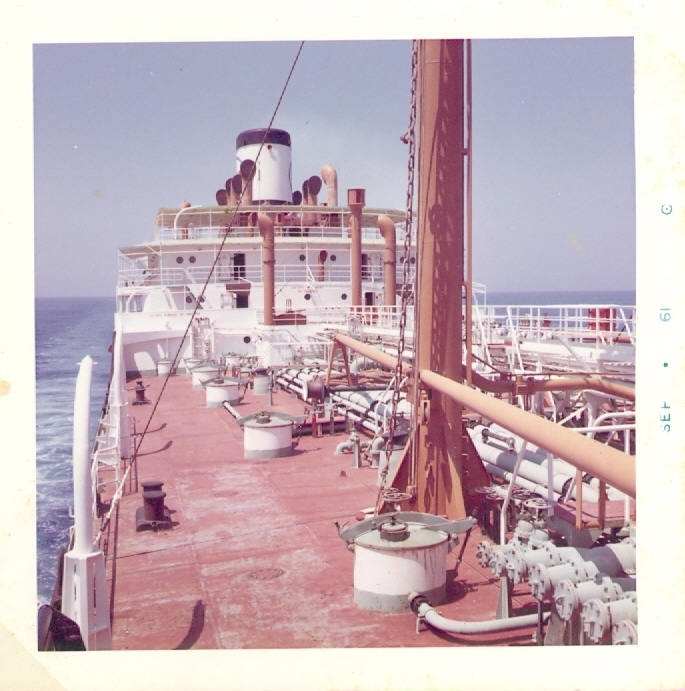 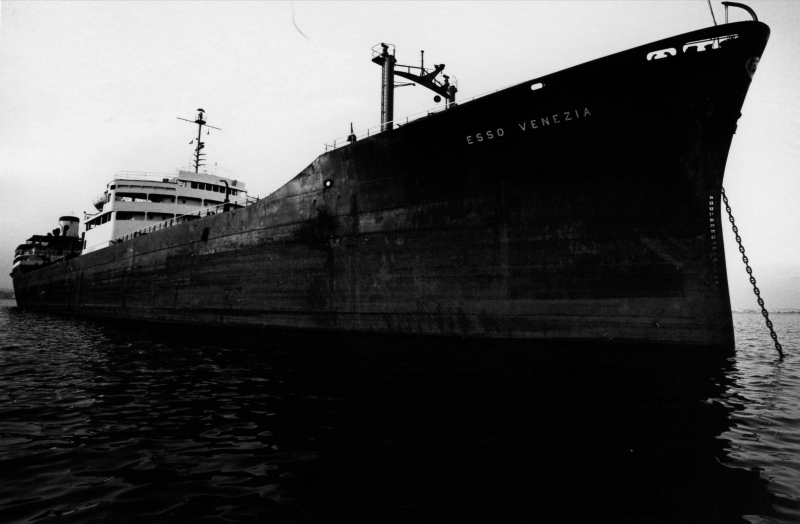 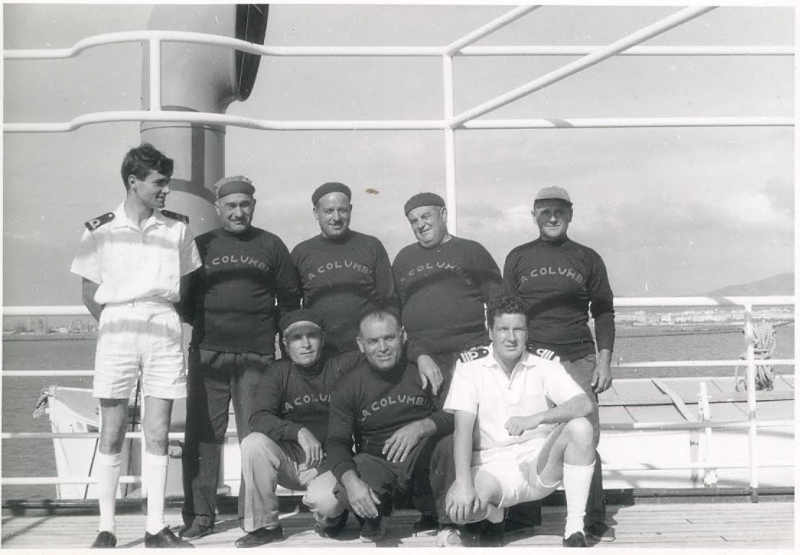 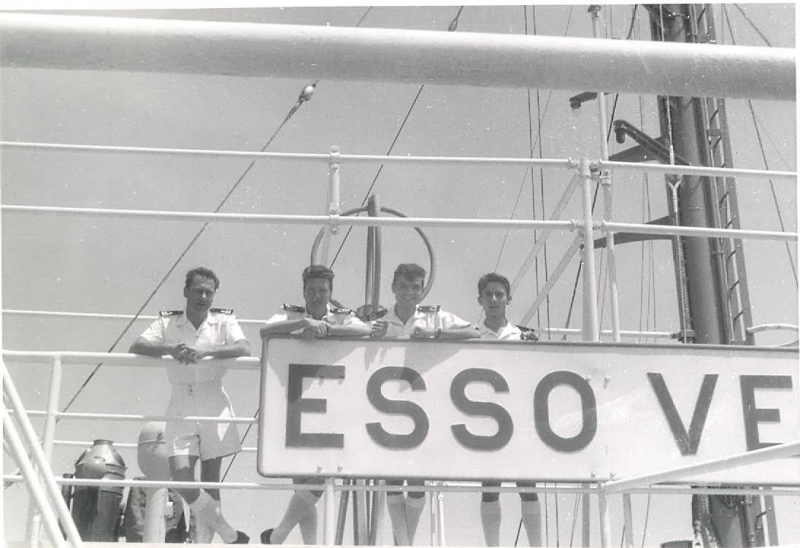 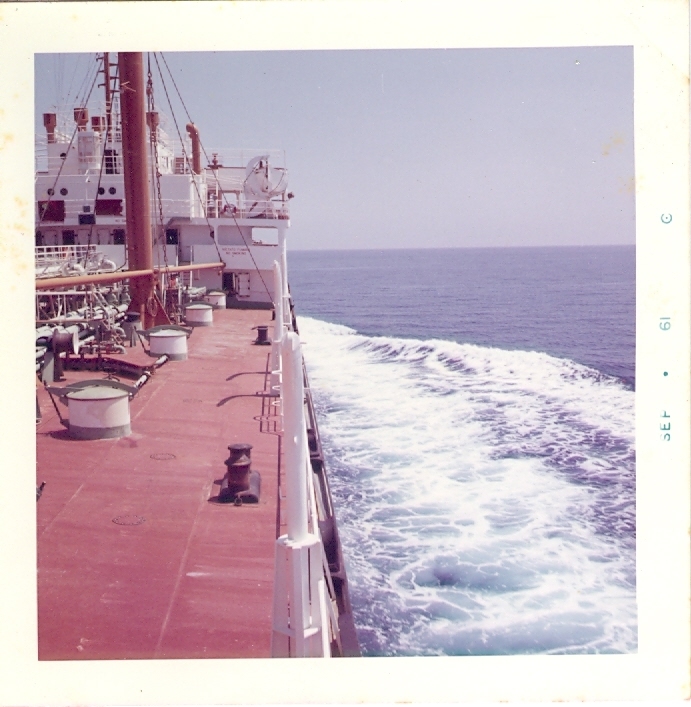 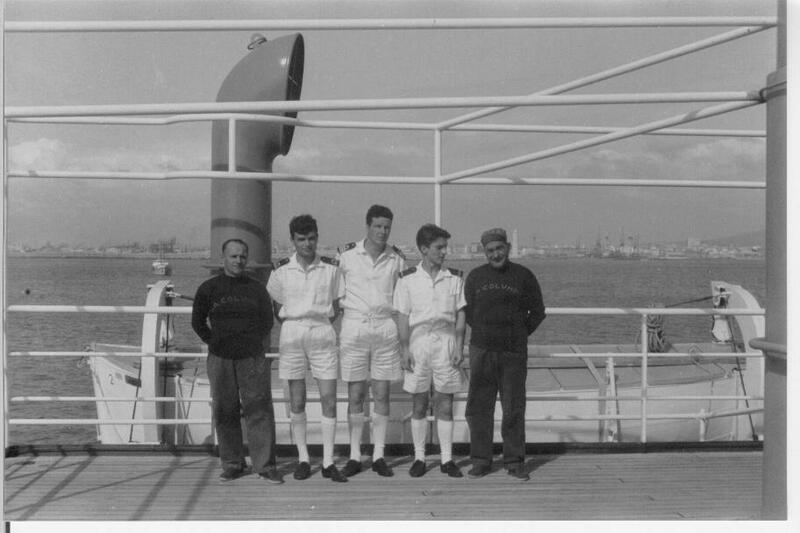 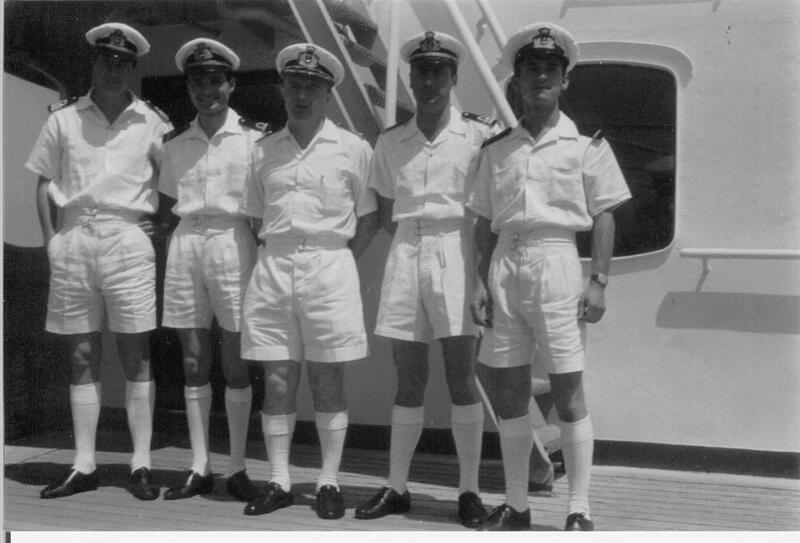 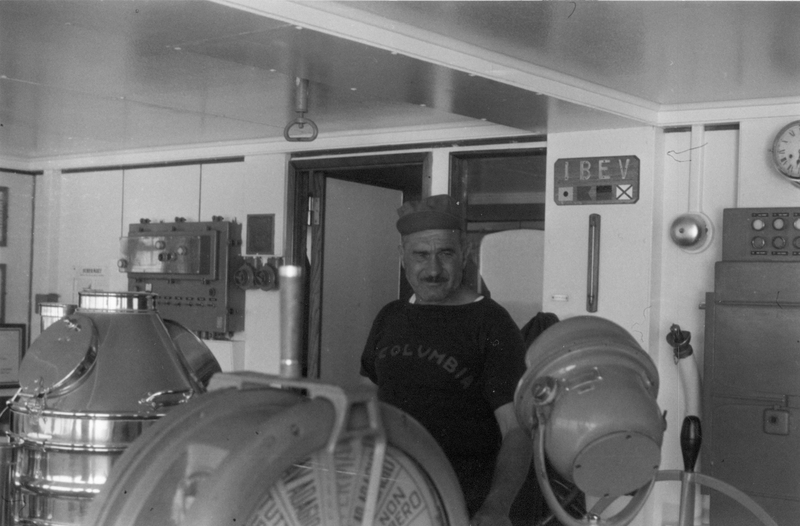 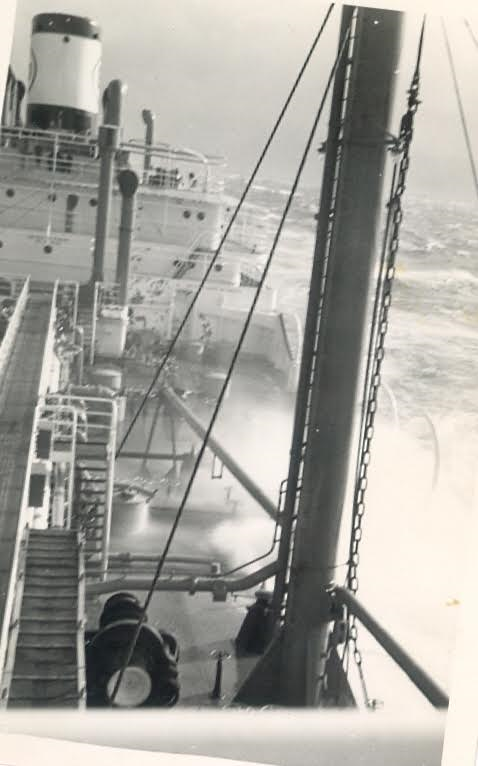 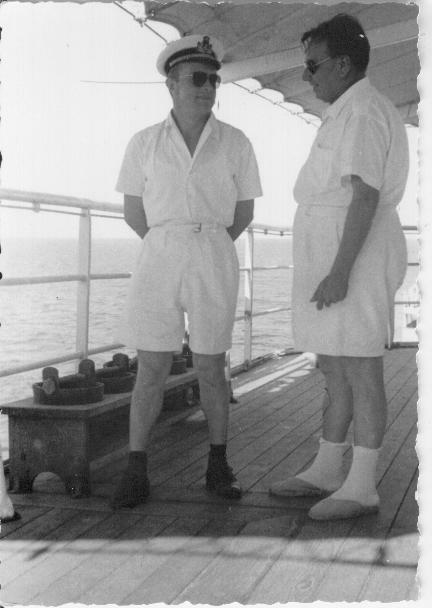 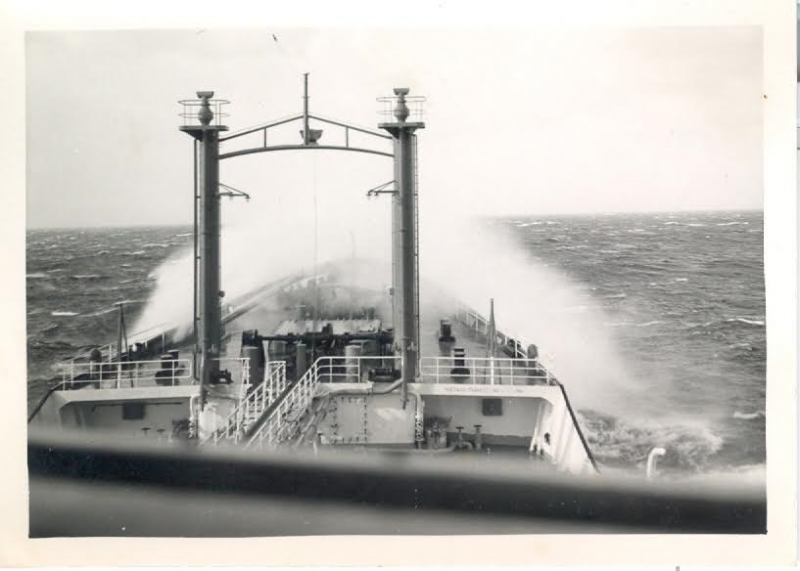 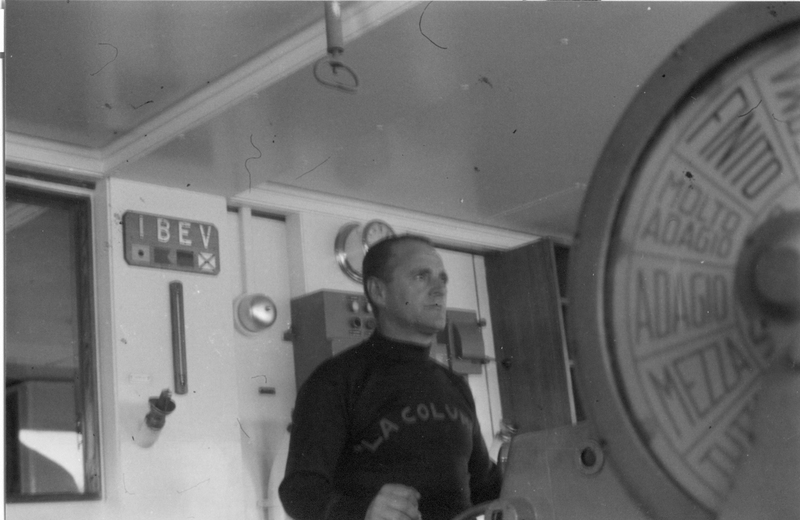 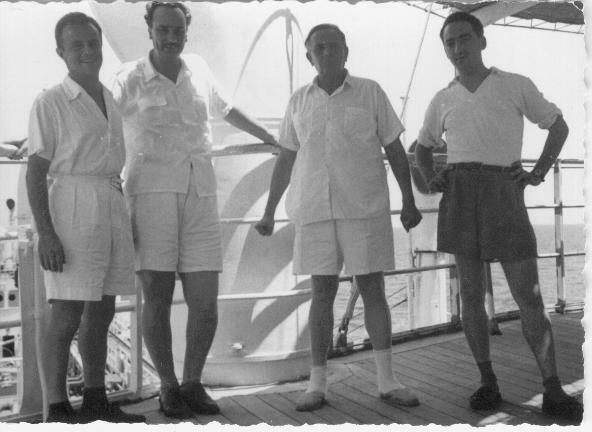 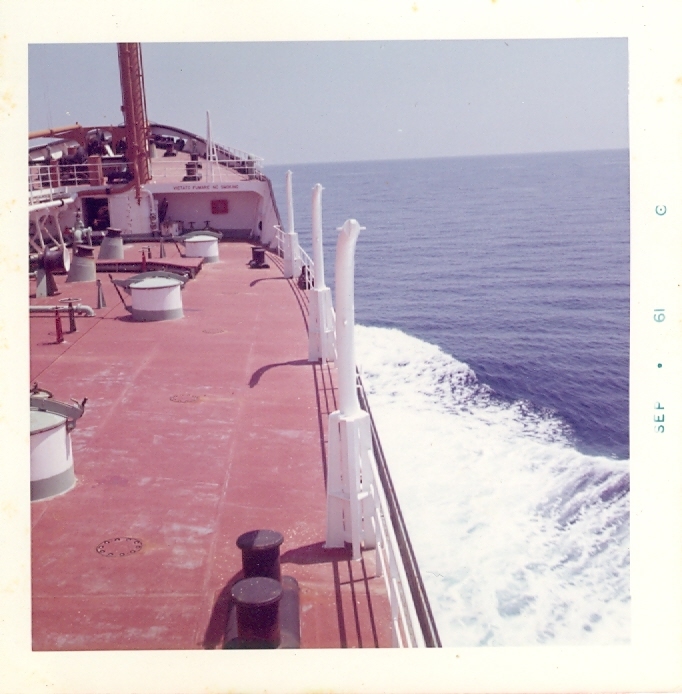 Seaman Pucci at the helm of Esso Venezia.